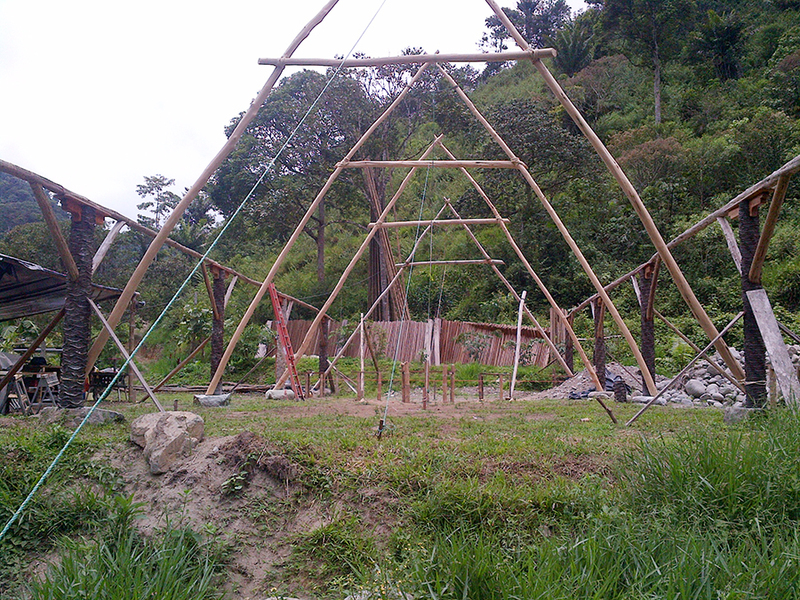 EcoNest friends, Jon & Cheryl Byrd are building what they are calling a Viking/Balinese/Old English/Badass Long House on their farm outside of Mindo, Ecuador. If you want to get in on the fun of thatching and getting the Lodge under roof in the very near future, this is the opportunity for you! 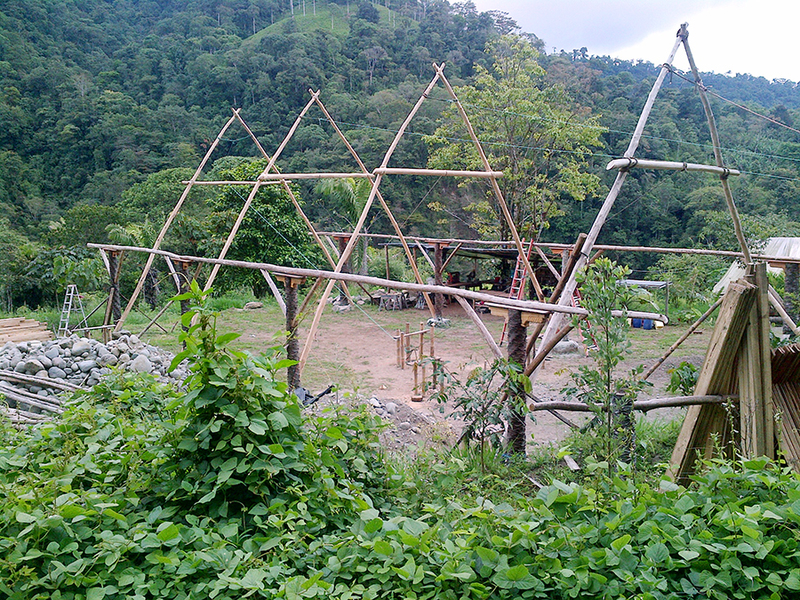 The construction is round wood timber framing with Ben Law old English Crux supports for ridge, Guadua Bamboo roof structure, Tagua palm thatch roofing, fine hardwood floor and interior structure. A unique structure in an epic place to be sure. 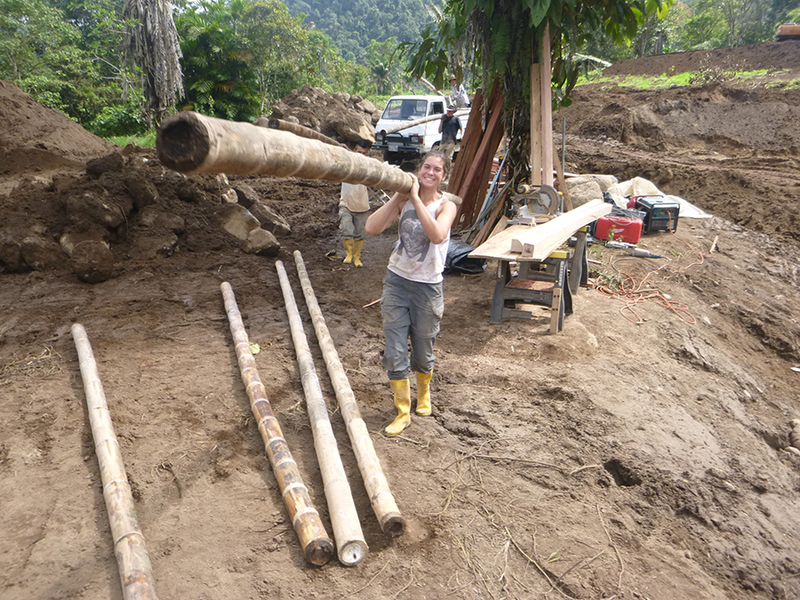 We've harvested the materials locally and have started installing the ridge beam, rafters and thatch. My goal is to have under roof in November. The roof structure is totally separate from the interior walls which will be quadratic lumber, largely short wood and wattle and daub (80 cm) with screens and a screened ceiling. We will live in this structure in a loft and the 'hearth' will be there, kitchen, living and fire. 140 acres with 1.5 miles of riverfront (2 rivers) that feels like it's located at the end of the earth (in a good way) but is only 30 minutes from a very popular tourist town called Mindo, hot spot in the world for birding (450 species) and ecotourism. Mindo is located 2 hours from the airport in Quito and the farm is 30 minutes further out in the country, at the end of the public road. 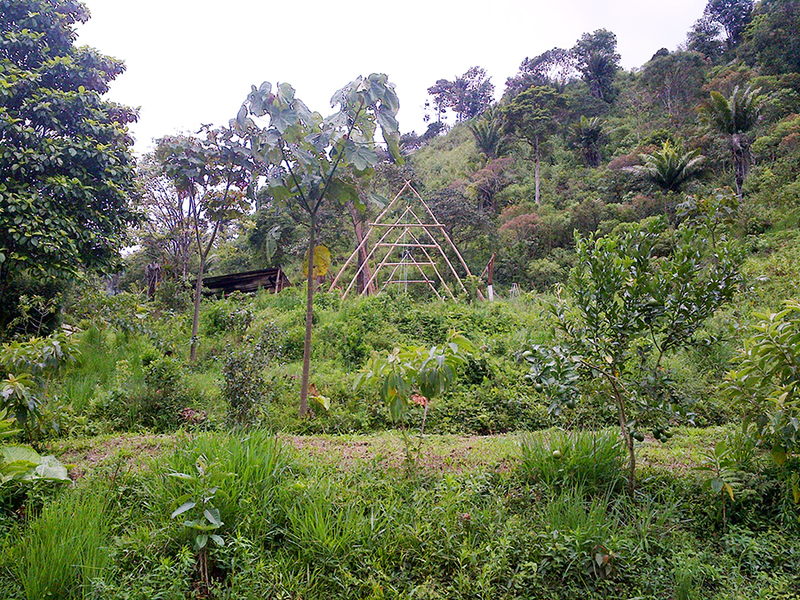 Over 4 years we've built roads, ponds, terraces, capped springs for our water, build a little thatch roofed house . . . We've got chickens, pigs, dogs, cats, and a lot of sugar cane, yucca, platanos, and bananas. This year we are planting acres of Heirloom Cacao and some coffee. We are in the process of building what we call a 'Viking/Balinese/Old English/Badass Long House' which will serve as our center for cooking and hanging out as we launch an eco-tourism business targeted for summer 2018.